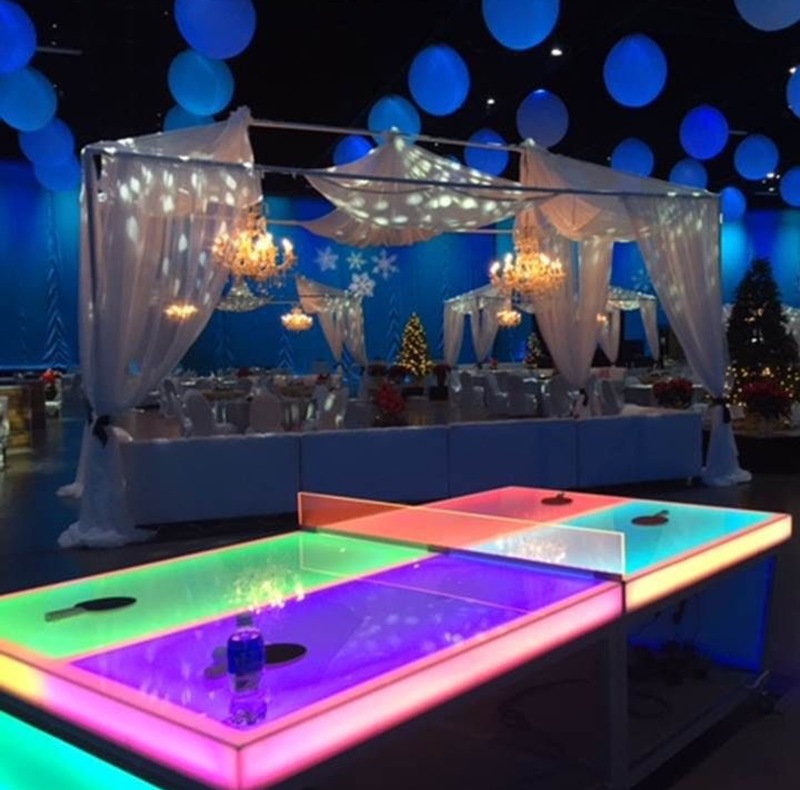 Get some fun competition going or even have a multicolored tournament at your next party with our LED Lighted Ping Pong Table Rental. Have one on one matches or split each side and have two on two matches. We supply four high quality paddles and plenty of professional ping pong balls to keep you and your guests playing all night long. Ping pong has been a staple of party games for a long time, even finding a place within the Olympic games, and never disappoints. 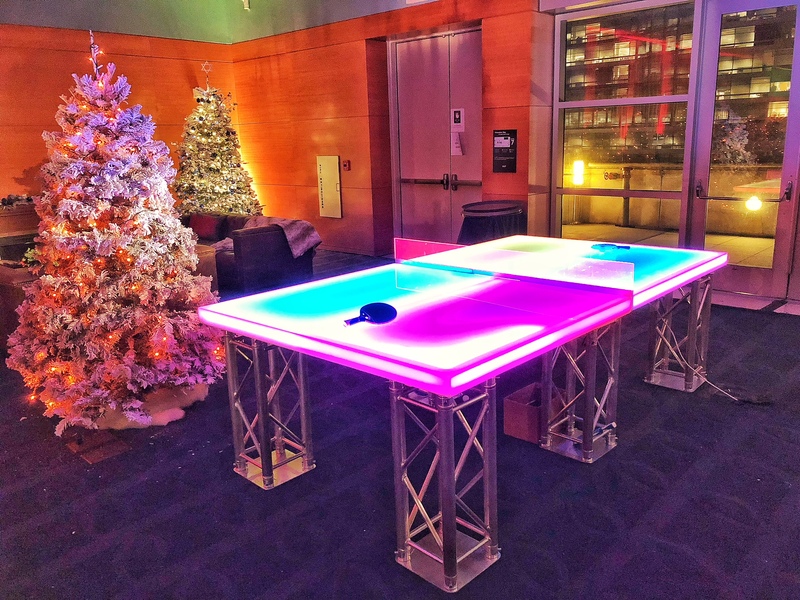 Our LED Lighted Ping Pong Table Rental breathes new life into the game and is sure to be an attraction that will make your party talked about for years to come. 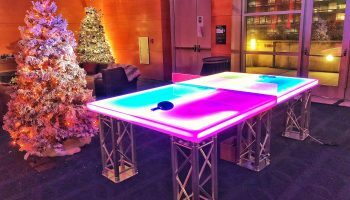 So practice your Olympic skills at your next event with this breathtaking LED Lighted Ping Pong Table Rental. 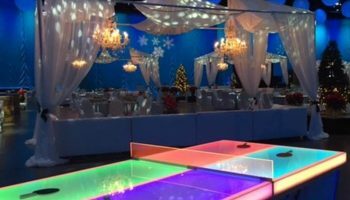 We deliver our LED Lighted Ping Pong Table Rental to Northern California, the greater San Jose area, and the San Francisco Bay Area. Call to rent it today!